Store in a drying position or place for a few months before burning to allow the moisture content to fall below 25% for open fires and below 20% for stoves. Moisture meters can be purchased in most hardware stores. Always use a spark guard in open fires as it can spit occasionally. 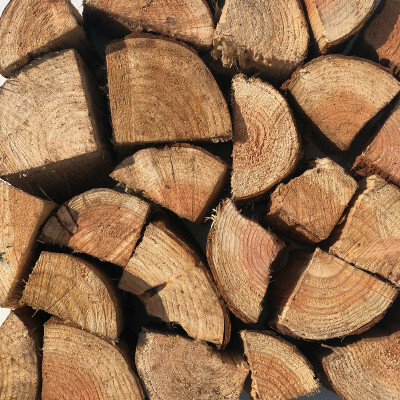 Available in 20 - 25cm logs, in a small / medium mix or a medium / large mix. Available to purchase in our 0.5m3, 1m3 and 1.75m3 reusable bags. Suitable for open fires, stoves and outdoor fire pits and chimneas when dried to the lower suitable moisture.